To me, it’s fun to coin a new term. So I’ve been making up words for the blog as I go along. I have printed for you here an excerpt from my private dictionary. It’s only fair! 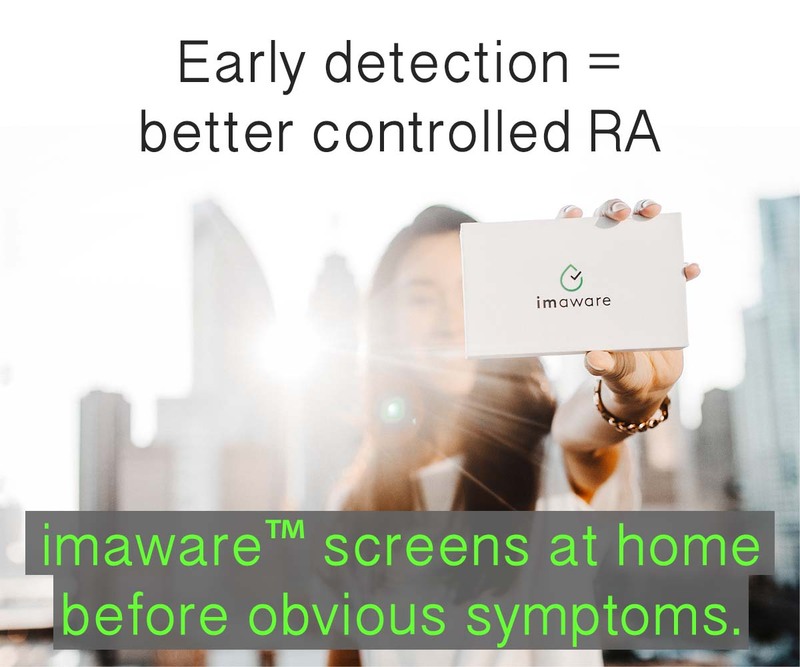 The Wall: n. 1: a barrier which obstructs productive communication about Rheumatoid Arthritis; 2: Non RA-ers may put up the wall because of denial of some aspect of the disease or because of fear of discussing an illness that is mysterious to them. And there’s more! Look forward to the unabridged edition soon. Do you have any words you’d like to suggest? Popular question: What’s the difference Between Osteoarthritis and Rheumatoid Arthritis? ← Professional Rheumatoid Arthritis Patient, part 2: Fired! HA I just used RAer in one of my blog posts a couple of days ago. I just typed it and went with it, I had no idea it really was an accepted term. We will make it an accepted term! We are re-writing the dictionary! May be sending a motorcyle-riding RA-er your way. Excellent! Not many that ride with RA, we are few and far between. I have a few of my own.. Break through RA – Similar to break through bleeding while on the pill. I’ve taken all my prescribed meds and will still have a flare. It can be even less fun, and just as messy. Dr. Areyousure? – Occasionally the Dr I have been seeing for the last 5 years will ask me if I am sure that I have RA, and who diagnosed me. Nurse Pokesalot – You know her, she can’t find a vein to save either of your lives. But she is happy to keep looking. One day, I think once a good vein is found I’m going to have a target tattooed on it that says stick here. The Dr. that tried to put me back on a RA treatment that is on my list of severe allergic reactions. Funny name for a not-so-funny situation. Dr. Dolittle still cracks me up!!! 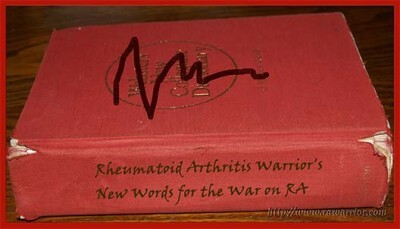 All through I do not have RA (I am still undiagnosed ) I can relate to your Dictionary. In reality sad but does bring a bit of a smile, in not such of a funny way. Just the definitions for things I’ve been through. good luck finding that diagnosis Bruce. Smiles, even wry ones, help a little. Rheumatoid Uterus: 1. Freudian slip made by a gynecologist while writing a (poor) article on RA. 2. A fictional medical diagnosis that we don’t even want to think about; sometimes used jocularly to refer to severe or strange symptoms. Monster Hands: n. Hands that have been in some way disfigured by RA, typically characterized by deformities, enlarged joints, inflammation and presence of rheumatoid nodules. Wasp Venom: Injection medication, particularly one that burns (like a wasp sting) during and after injection. See also: Humira. Shield: Used as a more favorable term for biologics, in that they block the proteins that lead to inflammation. Civil War: Used to describe RA disease activity and the concept of Immune System vs. Self. Remember: a body divided against itself cannot stand. Here are few more that I collected from Twitter when the Rheumatoid-uterus article was printed. Rheumatoid Psychosis – A close cousin to rheumatoid insanity evidenced when the patient thinks they may be going crazy due to lack of understanding from their family, friends, or medical personnel. Rheumatoid Deafness – An unusual illness that causes doctors not to be able to hear what their patients are saying. Rheumatoid Seizures – An uncontrollable thrashing of ones hands and arms when someone tells a person with RAD that a diet change would cure them. Usually manifested by the intentional accidental slapping or hitting of the person who made the suggestion. Rheumatoid Testicularitis – This happens when the patient with RAD has the courage and inner fortitude to advocate for themselves. I love all of these! Thanks for sharing. “Muti” (Moo-tee)- My hold-all word for the meds, esp. herbal. Originally an African word for what the witchdoctor (Sangoma) prescribes. “Coming on”, “Hurty”, “Flat”, “Puffy”, “Spiking” – All descriptors of how I’m feeling, or the progression and subsidence of the pain-wave. “The Mill” – Endless rounds of records, specialists, medications, assistance applications, needles, closed doors, side-effects, ignorance, null days and Sisyphean effort required to meet this ailment head on. “The Team” – Indispensable for tackling the Mill. Everyone positively supporting me in my struggle, from a close buddy picking up some slack for me, through the winnowed out medical professionals, to the checkout lady that gives me an extra hand when she sees I’m struggling. They are my angels, and I need them to do this thing. “The Wall” – .3 The divide between my life before the first flare-up, and the life that followed. May your days be easy. I love the ‘monster hands’ from Dana. I call my hands “Lobster Claw” hands a lot because I often have to (attempt to) grip things with my palms instead of fingers when they flare up, and it looks like a big lobster claw. Going back to my first months on Methotrexate with severe side effects….Deathotrexate! The Troll – the name my rheumatologist gives RA because it lies in wait ready to bash you every morning with a club. I just love all of these terms. RADophobia 1. 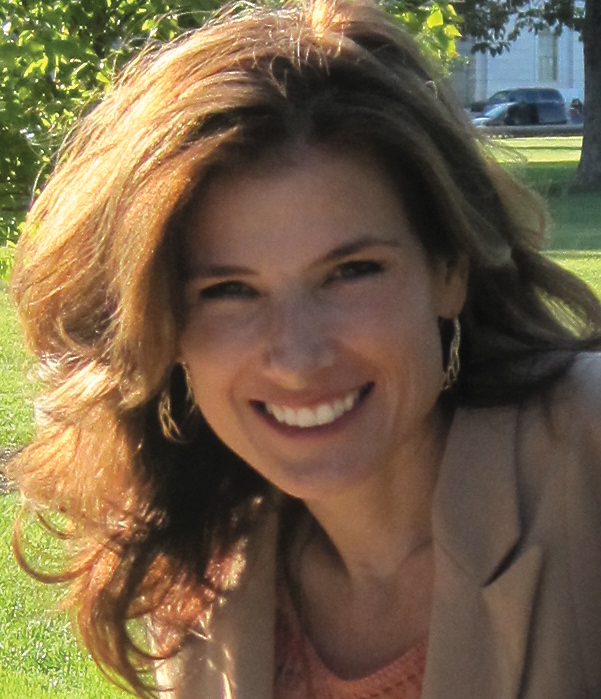 The denial of rights caused by discrimination against a person with RAD. 2. the intense anxiety of non RADers when witnessing someone in so much pain due to the fear of getting RAD themselves. This leads to behaviours such as being angry at the RADer, ignoring their pain, diminishing the degree of pain, minimising the amount of assistance needed , understating the seriousness of the disease. Hey guys, I need a word for that graceful maneuver where you aim your keister at the chair and then just sort of plop/fall because your knees won’t let you sit down in any faintly normal fashion! I need a like button! 🙂 I’m not use to wanting to comment or show support for so many statements! When I read this I smiled at the image of me doing this graceful landing so many times! Would love a word for it! 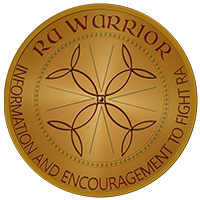 I am a newly diagnosed RA’er from my Dr. 8.18.16 but I have been living with since 2014. Thank you for having this site available. God bless you!